19 September 2018 (32 weeks) **FULLY BOOKED**. ** NEW COURSE ** Our BSL Level 1 course will run on Thursday evenings 7-9pm at Beaufort Community Centre starting on 20th September 2018 (32 weeks). 18 September 2018 (36 weeks) **FULLY BOOKED**. 20 September 2018 (38 weeks). Our Access to BSL Level 2 course (Autumn Term) will run on Tuesday evenings at Bournemouth Deaf Club starting on Tuesday 2 October 2018. Please contact Zoe at admin@wdda.co.uk or phone/text 07793284109 for further information or to request an enrolment form. WDDA is able to offer a 30% discount to deaf people or their carers. Course fees can also be paid in instalments to help spread the cost. Would you like your staff to have a basic knowledge of sign language for meeting and greeting your customers, clients or service users? 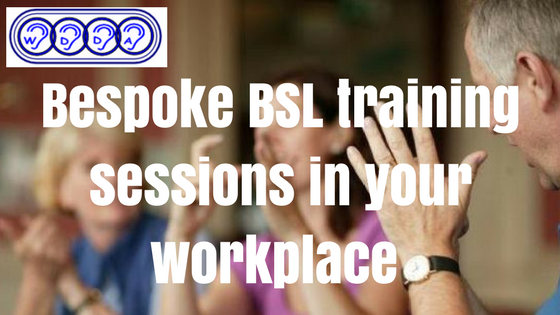 WDDA offers bespoke BSL training packages for local organisations, businesses and workplaces. Our Bite Sized Introduction to BSL Communication Skills course can be tailored for your specific needs and delivered at your workplace, ensuring good uptake and minimising pressure on valuable staff time and resources. Interested? Simply complete and return our Workplace BSL Training Needs Questionnaire to admin@wdda.co.uk. With this information we will be able to suggest a course of suitable content, duration and cost. BSL Workshop BSL Workshop 1 day @ 3 hours Saturday 18 May 2019 10-1. Book now! BSL3 British Sign Language Level 3 38 weeks @ 2.5 hours a week Register your interest now for a September 2019 start date! BSL2 British Sign Language Level 2 36 weeks @ 2.5 hours a week Register your interest now for a September 2019 start date! 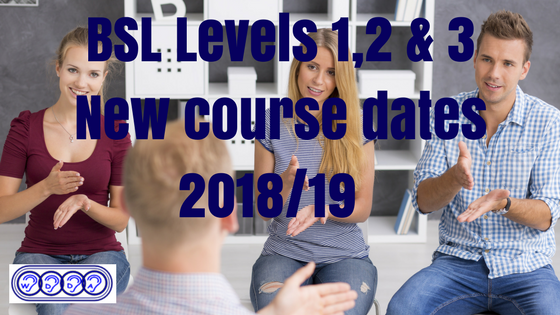 BSL1 British Sign Language Level 1 32 weeks @ 2 hours a week Register your interest now for an October 2019 start date!